Premier Foot and Ankle, Inc has announced plantar wart treatment for the patients. Viral infections can cause small growths on the skin called warts. The plantar wart is a wart that grows on the bottom of the foot and is common among children, adolescents as well as the elderly people. The McKinney TX podiatrists at Premier Foot & Ankle are determined to offer professional treatment of plantar warts whether they are solitary or mosaic. The experts at Premier Foot & Ankle frequently diagnose and treat warts on the foot. Through careful examination, the podiatrists in McKinney will be able to develop a treatment plan for the specific situation. 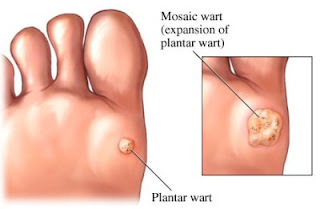 Plantar warts are caused through direct contact with the human papilloma virus and may be treated in many different ways. While over-the-counter treatments people might find in a drug store or convenience store can be effective. People might end up spending time and money on an ineffective treatment. It is necessary to consult local foot doctor in McKinney for the most efficient and effective treatment. Podiatrist at Premier Foot and Ankle, Inc. can address different types of foot related problems including, Achilles tendonitis, ankle sprain, bunions, flat feet, fungal nails, hammer toe, heel spurs, ingrown, toenails, and neuroma. Foot and ankle care doctors are highly-trained and can handle any severe case. The website of the clinic is patient-friendly and offers complete information regarding foot and ankle condition and their respective treatments. Patients can request an appointment through their online website only. Hammer toes are the most common problems often found in the people indulged in the heavy physical activities including walking, running, jumping etc. It can be occurred to anyone without prior symptoms or any other signs. 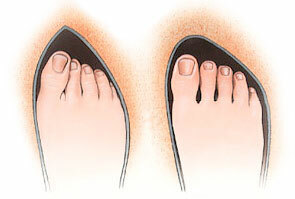 When the smaller toes of the foot become bent and prominent, it gives rise to hammer toe. It is the most painful condition and restricts activities like walking, running, etc. It looks exactly like a hammer this is the reason, it is called hammer toe. The toes form a joint with the long bones of the foot and it is the same area that is referred to as the ball of the foot. These bones and joints are straight however it occurs when the toes become bent at the first interphalangeal joint. It makes the toe prominent and is the very basic cause of the problem. Hammer toes can affect any number of the lesser toes and causes immense pain. In most of the cases, a deep blister is formed over the joint. It is also a visible sign of hammer. It gradually becomes bruised and inflamed causing heavy pain in the region. Over time, hard skin or corns can form over the joints or at the tip of the toe, making patient unable to move. In fact, the inflammation caused by hammer toe is similar to a bunion. A toe with this deformity is bent at the last joint and points the tip of the toe downward. There are many different causes of the problem, however generally it is due to uncomfortable shoes. It is often found that the way in which the foot functions during walking, running, moving, etc by patient can cause trouble. If the foot is overactive along with its associated tendons, then this can cause increased pull on the toes which may result in absolute deformity. In some instances either direct injury or overuse from walking, running, moving, jumping or other sporting activities can give rise to hammertoes. Professional podiatrist (foot and ankle doctor) usually prescribes physical therapy and custom orthotics. Properly fitted shoes are also an effective treatment for the problem. For mild to moderate hammer toe cases, these treatment measures may completely reduce or remove any kind of related symptoms. In severe cases podiatric surgery may prove necessary in order to solve the problem completely. However, it is the final solution to the problem and foot and ankle doctors recommend after thorough inspection and diagnosis. For more information please visit website: http://www.premierfoot.com/. Bunion is a foot deformity and medically referred as Hallux valgus. It is highly painful condition and restricts the movement of the foot. It simply involves the large big toe joint. In the common terms, it is a partial or complete dislocation of the joint at the very base of the big toe. It is known as an abnormal growth, but in real terms it is neither an abnormal growth of bone nor a tumor. The slow dislocation of the joint cause abnormal function as a result the big toe skews in one direction. Any joint in the body that is partially or completely dislocated cannot function normally and may cause heavy pain. This toe disjoint gradually moves out of its limits, causing immense pain, bruising, swelling, and overall redness due to constant state of irritation around the region. The burning sensation could be highly intolerable sometimes and restrict the wearing of shoes for the patients. Its diagnosis is equally important as of medical treatment. Podiatrists can understand the problem and can easily diagnose the state of bunion on sight. They also use other advanced procedures like an X-ray to know the exact bone deformation. X-rays are also used to identify any exacerbating factors in order to treat the patient in a holistic and non-invasive manner. Bunion is a very common deformity and is commonly found in some family groups. This is the reason it is also based on the heredity factor. Abnormal mechanical function of the foot is also a primary cause in the development of bunions. As it progresses, it becomes impossible for the patients to move freely and smoothly. Its pain becomes unbearable and patients find it highly difficult to respond to the situation without proper medical treatment. Podiatrists recommend wearing flat heel sleepers and shoes instead of high-heeled shoes in order to handle the situation with ease. Shoes, moreover, do not cause any type of trouble or bunion deformities, but simply make the condition worse. Bunion is a complex deformity and can cause severe pain overtime if not treated urgently. Mild to moderate bunions may be treated with orthotics and properly fitted shoes. The prescribed orthotics ranges from spacers, splints, and bunions cushions. A patient with bunions is generally advised to avoid narrow shoes. If required after intense physical examination, x-ray evaluation and medical history, doctors recommend foot surgery to handle the condition in most cases. Premier Foot and Ankle, Inc has been offering specialized bunion pain treatment. “It’s basically a hereditary deformity where the bone behind your big toe starts to drift over and so it messes up your big toe,” says the podiatrist at Premier Foot & Ankle. What leads to bunions is the hereditary mechanics of your feet not a particular style of shoe or gait. The pain is caused when one has to wear shoes which by nature are not made for feet with such a deformity. The clinic has a video at its website for more information. The website of the clinic is patient-friendly and offers complete information regarding foot and ankle conditions and their respective treatments. Patients can request an appointment through their online website only. For more information please visit website: http://www.premierfoot.com. Premier Foot and Ankle, Inc has been offering specialized non-invasive treatments for plantar fasciitis and heel spurs. Premier Foot and Ankle, Inc. is determined to offer Extracorporeal Pulse Activation Treatment (EPAT®), the most advanced and highly-effective non-invasive podiatric treatment method approved by the FDA. This proprietary technology is based on a distinct set of pressure waves that stimulate the metabolism, enhance blood circulation as well as accelerate the healing process. It helps damaged tissue gradually regenerates and eventually heals. This non-invasive office/clinic based procedure represents a breakthrough treatment option for a broad range of musculoskeletal conditions. 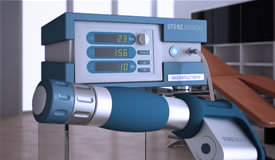 The procedure eliminates pain and restores full mobility, thus improving the quality of life. Podiatrist at Premier Foot and Ankle, Inc. also provide podiatric foot treatment for people who suffer from serious cracked heels. The non-invasive EPAT® treatment has virtually no risks or side effects. In some cases patients may experience some minor discomfort which may continue for a few days. It is normal to have some residual pain after intense exercise or a full-day of work. 1. Patients are immediately fully weight bearing. 2. Bilateral patients can be treated at the same time. 3. No incision - No risk of infection at the treatment site - No scar tissue formation. 4. Patients are able to return to work/normal activities the same day of the procedure. 5. Patients evaluated for success at 12 weeks. 7. Non-invasive so biomechanics are not affected - future treatment options are not limited. 9. Reduced conservative care - ends the cycle - Reduced after care and complications costs. 10. Reduced cost from lost work. 11. Fast, safe and effective. Podiatrist at Premier Foot and Ankle, Inc. can address different types of foot related problems including, Achilles tendonitis, ankle sprain, bunions, flat feet, fungal nails, hammer toe, heel spurs, ingrown, toenails, and neuronal. Foot and ankle care doctors are highly-trained and can handle any severe case. The website of the clinic is patient-friendly and offers complete information regarding foot and ankle conditions and their respective treatments. They offer different types of podiatric surgery, plantar fasciitis and orthopedic foot and ankle treatment at their facility. Patients can request an appointment for Plano health services through their online website. A bunion is a type of extra growth of the joint at the base of the big toe. It often develops when the tissue or bone at the toe joint moves out of its place forcing the toe to bend. It is supposed to be the most painful condition can cause rupture of the tendons as well as muscles. Its pain is sometimes incomparable causes a lump of bone on the foot. 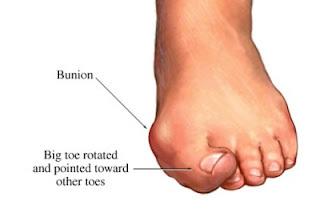 Symptoms of bunions include the gradual enlargement of a bump on the outside of the foot at the base of the big, redness, irritation, itching, heavy swelling and too much pain on the joint. It sometimes restricts the normal activities of running, walking and brisk moving. The abnormal development of corns on the toe caused by the overlapping of the first and second toes causes heavy pain to the patient. The bone and tissue enlargement at the base of the big toe is the obvious symptom of a bunion. Bunions can also be caused by hereditary bone deformations or develop over time due to various factors. In fact, it is known as a deformity in medical terms. An advanced form of bunion (pathological bump) can make a foot look grotesque and can even lead to other severe diseases like arthritis, chronic joint pain, muscle rupture etc. Bunions form after years of abnormal motion, pressure on the bone or adjoining muscles or inherited foot type or even ill-fitted shoes. This is the reason proper selection of foot wear is necessary to avoid the condition of bunion. Podiatrist can easily determine the problem and recommend appropriate treatment measures. They easily diagnose as well as categorize the severe bunion symptoms on sight. Through an X-ray they identify a bunion or other severe bone deformation in the toe. X-rays are used to identify any exacerbating factors to treat the patient in a holistic manner. However, most bunions or moderate deformations can be treated without invasive treatments like surgery. In addition, the main focus in treatment is to relieve the pressure on the bunion to balk the fast progression of the joint deformity (bunion). Applying bunion pads around the bone, wearing shoes with wide toe boxes and total avoidance of high-heeled shoes can easily relieve the pressure. Inflamed and irritating bunions can be treated with ultrasound therapy, ice and even anti-inflammatory drugs. Experienced foot and ankle doctors (podiatrists) can diagnose the condition and recommend the best possible solution to maintain and improve your foot health. Foot and ankle surgeries are normal in today’s busy lifestyle. People often exposed to mild to severe injuries or even intolerable pain. Unfortunately, most of the people try to neglect such problems and sporadic pain, which may cause severe problem after-wards. There are different types of minor injuries or deformities that can cause immense trouble during the daily life activities of a person. Therefore, in order to control the situation and get rid of the serious pain, one must consult to the experienced podiatrist to understand the exact cause of pain. It is the podiatrist or foot and ankle doctor that can determined the cause of problem or severe pain in the ankle. Detailed screening and diagnosis can help to identify the situation. They can explain the main reason behind the chronic pain in the region. However, the reason could be from minor ankle sprains to bunions to hammer toes. They can explain the medical terms and the logical reasons like an unnatural twisting of the ankle bones or any strain on the ankle bones of the foot. It may result in extensive stretching or even tearing of one or more attached ligaments. The severity of the ankle strain can cause high degree of damage, which may result in serious circumstances. 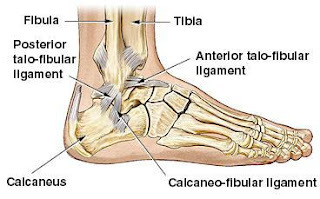 In fact, if not properly treated, it can cause heavy ankle sprains that may develop into long-term problems for the people and especially athletes. Doctors can examine the signs of the ankle sprains like swelling, or bruising. After the careful examination, they recommend a specialized treatment, which may include long-term resting. Most of the time doctors suggest elevating the ankle and applying ice to eliminate swelling. In severely chronic strain in the ankle cases, podiatrists often recommend compressive bandages in order to immobilize and support the injury during healing. Severe ankle strain and long-term pain in the region, particularly among competitive athletes and working people, may need immediate surgery to repair and tighten the damaged ligaments and attached muscles. However, to prevent serious ankle sprains, renowned foot and ankle doctors recommend maintaining strength, balance, and flexibility in the foot and ankle through regular exercises. They also suggest for continuous stretching, and wearing well-fitted shoes for more comfort, proper functioning and even balancing. For more serious issues, they may recommend reconstructive surgery procedure that may include tissue reconstruction, function restoration, and cosmetic rehabilitation, each of which serve their own purposes.